Bridgestone’s dedication to road safety, product development and customer service across the business has helped secure two prestigious National Tyre Distributors Association (NTDA) awards. 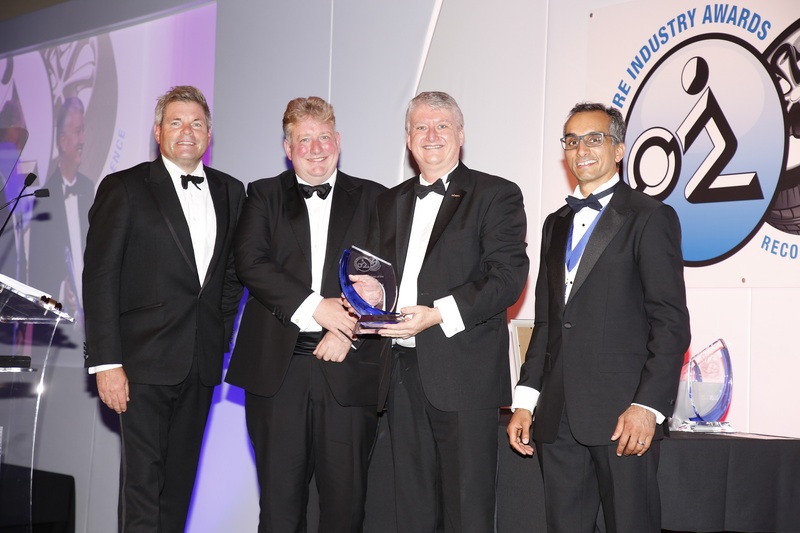 The world’s number one tyre and rubber company was honoured with the NTDA’s Staff Training & Development accolade, along with the headline Tyre Manufacturer of the Year award – the third time they have scooped the honour in the past four years. In winning the staff training award, praise was given to Bridgestone’s six-figure investment in its state-of-the-art training centre at MIRA, Nuneaton, to empower commercial and consumer tyre technicians. Bridgestone’s training and development managers Paul Turner and Phil Thirsk were also cited as influential factors behind the company’s training provision, pioneering the REACT Roadside Training course and offering numerous packages of bespoke support to suit each individual customer. Bridgestone’s 18-month tyre debris study in partnership with Highways England – featuring more than 1,000 samples taken from roadsides – was then viewed as a key campaign which helped secure the Tyre Manufacturer of the Year award, along with it’s multiple solutions for commercial fleets. Meanwhile, the best-in-class TURANZA T005 and A005 products were also introduced to the company’s portfolio of premium products in the past 12 months, while Bridgestone’s ongoing Chase Your Dream, No Matter What campaign has been brought to life through more interactive events with Daley Thompson and fellow ambassadors. Bridgestone’s Managing Director (North Europe) Robin Shaw said: “Winning these two NTDA awards means the world to us as a team. They endorse a great deal of hard work we’ve carried out across the business over the past 12 months. The NTDA Awards represent an industry benchmark for excellence and we are thrilled that the judges have acknowledged the giant strides we’ve made in 2018. Stefan Hay NTDA Chief Executive said: “What an amazing result for Bridgestone. Once again, two exceptional awards entries and two wins. It is fantastic to see Bridgestone rewarded for its outstanding commitment to training and development, especially in support of our hard-working commercial tyre technicians.